Bread is included in the main share (above) an average of 2 times every 4-5 weeks. The "No Bread" option is the regular share with all supplements except for bread for those who, for whatever reason, do not wish to receive it in the CSA share. 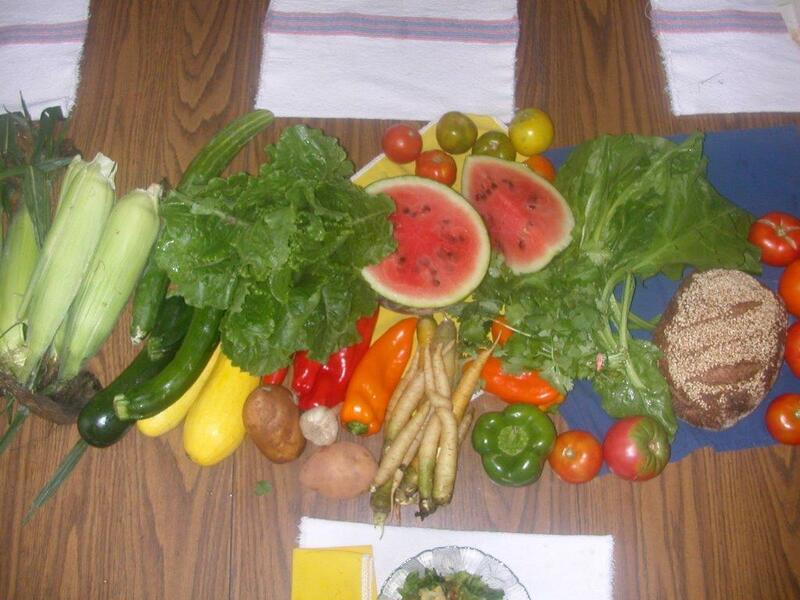 This is the same seasonal fresh vegetables and fruit that come in the Main Share. Perfect for those who want a smaller share or prefer only the fresh food with none of the supplemental eggs, cheese, bread and dry goods. For a half share, we recommend the BI-WEEKLY option which is receiving a full size share every other week. For those who prefer half share every week, a private arrangement can be made to split a weekly share with a partner.